I can hardly wait to bring y’all this post—new and exciting news here in North Carolina. 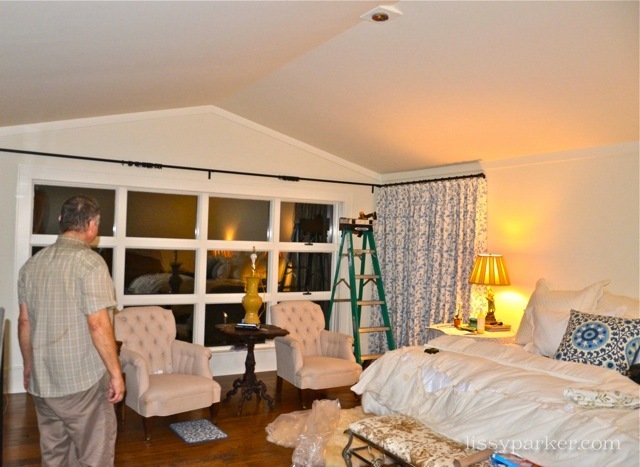 The Master Bedroom draperies and bed hanging were installed last week! 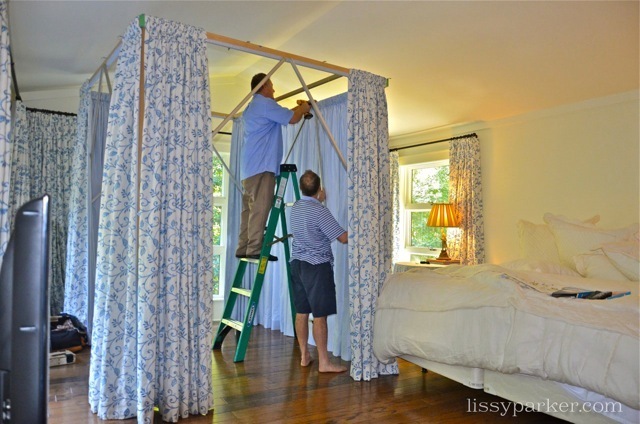 The draperies are my favorite style—simple poles and rings. 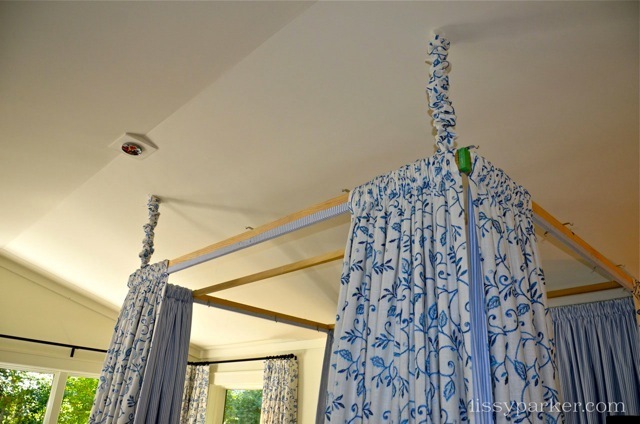 The new bed treatment is suspended from the ceiling, David Hicks style.The whole bedroom was designed around the beautiful blue crewel fabric that Keven Hawkins found for us—all 200 yards of it … He designed the whole room around this timeless fabric and measured, measured and measured again for this beautiful installation. 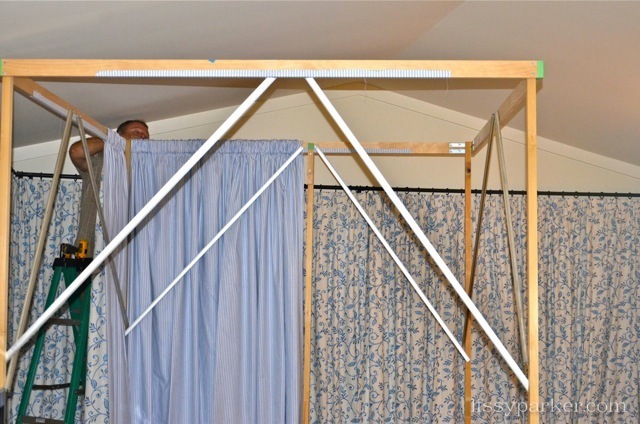 The fabrication and installation were done by Tailor Made Draperies of Savannah, Georgia. The bed is lined in the ‘Sky’ ticking stripe and the tiny blue beads that were featured in an earlier post here. 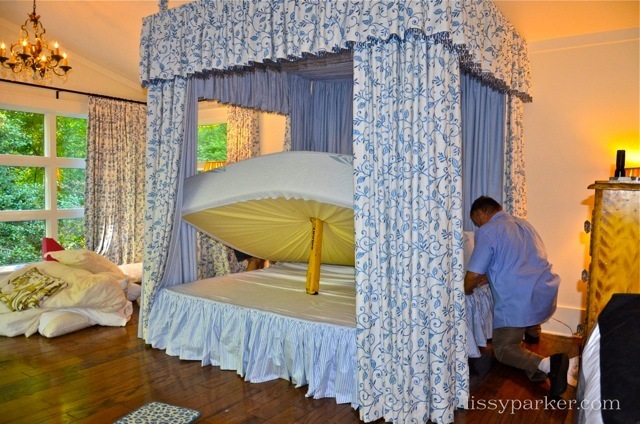 The ivory white and blue combination is so restful and cozy … think I will love this for a long time. Oh, and by the way, this same treatment just appeared on the cover of the October issue of World of Interiors! Durma com os anjos! (My editor is trying to learn Portuguese, and so she added that without my consent!) LOL! All Pictures by Lissy Parker for lissyparker.com. You are welcome to ‘borrow’ my photographs—just please credit the source. unreal, beautiful! 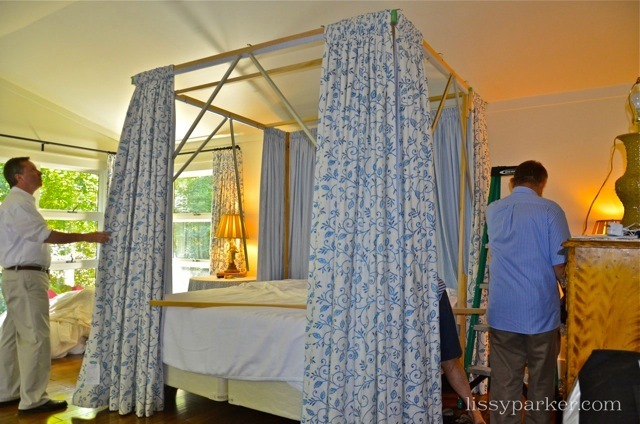 I would live in your bedroom…so soft and serene. Jennifer, I may never leave! Love this! 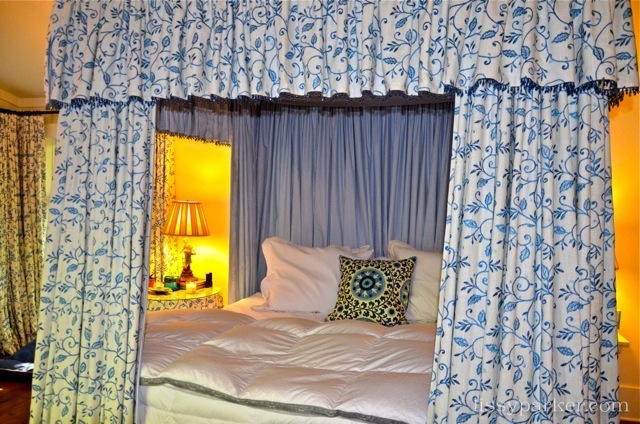 I can see a chilly rainy day, breakfast in bed, and curling up here all day!! OMG! Just died in Charlotte over your bed! Wow!!! can i say GORGEOUS! I did too! I enjoy writing in bed now—and watching movies. 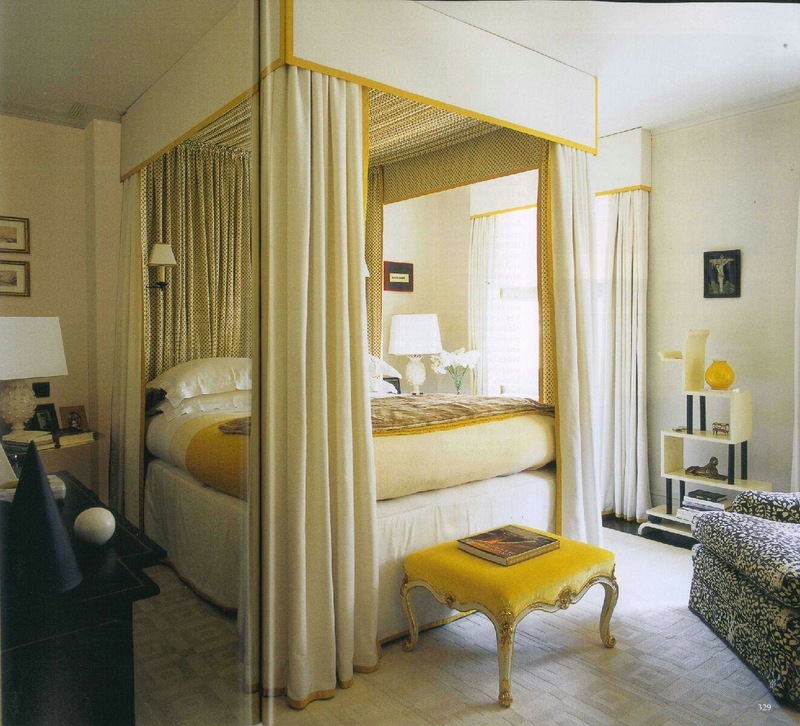 Your room is much lovelier than the one on the cover of world of interiors! And I bet the view is better, too. Enjoy! Thank you Charlotte—more is to come. I can’t wait to finish this room. It is so calming in this room now. So, so beautiful! Makes my heart sing!